The Church in Australia should not underestimate the importance of its buildings just because their history only dates back two centuries, according to a British heritage and architecture expert. Source: ACBC Media Blog. Sophie Andreae, the vice-chair of the Patrimony Committee of the Bishops Conference of England and Wales, is one of the keynote speakers at this week’s National Liturgical Architecture and Art Council symposium “Where Your Heart Is, There Your Treasure Will Be Also”. 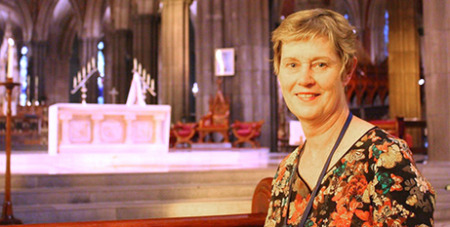 Ms Andreae told the Melbourne conference that while Christianity only dates back to the late 1700s in Australia, it has parallels with the Church in Britain, which was suppressed – even prohibited – for more than two centuries. She said many people reacted against Victorian architecture during the second half of the 20th century. That attitude, coupled with liturgical changes after Vatican II, “seemed to give some people a green light to rip out the interiors of churches”.